Home » Make-up » No More Fine Lines and Wrinkles- Hide Them with Your Makeup! No More Fine Lines and Wrinkles- Hide Them with Your Makeup! Unfortunately, blending the concealer for achieving the perfect and natural finish isn’t easy and it’s a matter of time until it settles into the fine lines and wrinkles. Don’t stress out as you’re not the only one having to deal with this kind of problem. 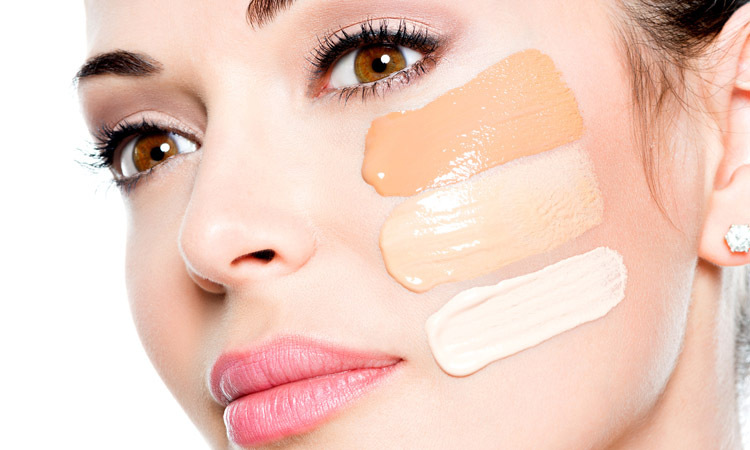 Which type of concealer works for covering the fine lines and wrinkles? What’s to remember when using the concealer? What are the other tricks for hiding the fine lines and wrinkles? One of the most common mistakes out there is to simply pick the wrong shade of concealer for the job. If your concealer is too light, you may end up looking too chalky or gray, making the fine lines and wrinkles even more obvious. It’s better to get with a hydrating formula that is easy to build with, ensuring medium to full coverage. The risk for a cakey appearance is also minor for this kind of concealer. You should also stay away from the dry concealers as they’re only going to stick as they’re difficult to blend. Go for a weightless concealer that moisturizes and conceals at the same time. Once your skin is moisturized, apply a primer before you use your foundation. The primer is going to soften the wrinkles, helping with their hiding. Get a silicone based primer as it’s going to fill in uneven skin texture and fine lines more efficiently. Try to stay away from a heavy matte formula on your foundation as it’s only going to make your skin look older. Choose a sheer and hydrating formula instead. If you feel you need more coverage for hiding the blemishes, tap the concealer on the dark spots gently, before applying the foundations. The more you’re covering the fine lines, the more obvious you’re going to make them. If you’re using the concealer for covering the fine lines and wrinkles, you need to start with only a bit of it so that you avoid the heavy feel for your look. It’s better to apply it in thin layer so that it blends very well afterwards. As for the moment when which you should apply the concealer (before or after foundation? ), the professionals recommend applying the concealer right after the foundation. Apply the concealer after your regular foundation, making sure you’re blending into your foundation perfectly. You can use a fluffy brush for spreading it. Don’t forget to set it in place with some translucent powder. Remember that the eye area is a bit more fragile and sensitive than the rest of your face so take it easy when applying the concealer in that area. The skin around the eye is quite thin and fragile so you need to apply lightly and gently your concealer or any other type of product. Some like applying first a layer of emollient moisturizer or a good eye cream. You may carefully blend the concealer afterwards, making sure it’s not going to settle. Don’t forget about setting the concealer with the powder. Dip your fluffy brush or a damp sponge into some loose powder, dabbing over your concealer in a gentle way. You should use a mineral and loose powder for setting the makeup. Go for one that is made with mica micro-particles, which reflect the light, ensuring a healthy shine for your skin. switch from a powder blush to a cream blush for a more natural appearance that hides the fine lines and wrinkles very well. In order to make sure of results, it’s not a bad idea to set the whole face with a glow-boosting mist that creates a nice radiance, while hydrating your skin at the same time. If the concealer is going to ensure results fast and easy, you may want to go the extra-mile and start solving the root of the problem, reducing the fine lines and wrinkles for more than a couple of hours. Retinoids are going to give your skin more collagen, which fights against the fine lines. You may get an over-the-counter product made with retinol or get the stronger options, prescribed by your doctor. Use retinoids following the directions, but give them time until you start noticing results. It may take up to 3 months until you see the improvements. Don’t forget to apply sunscreen as retinoids make the skin more sensitive to the sun in addition, wearing sunscreen on a daily basis is going to reduce the risk for future wrinkles as well. One of the symptoms of skin aging is the drying of the skin, which only makes the fine lines be more visible. Moisturizing your skin is going to diminish the appearance of fine lines and wrinkles. Get a moisturizer formulated with hyaluronic acid as it’s going to seal in moisture and plump the skin at the same time. No matter how dedicated you are to your anti-aging skin care routine, you shouldn’t overdo it. It’s better to use only one or two anti-aging products. if you’re using too many, you may irritate the skin which only worsens the appearance of fine lines and wrinkles. Better yet, stay on the safe side and try only one product in the beginning, adding the next anti-aging product after your skin is used to the first one. Seek that your anti-aging product is made with “growth factor technology”, vitamin C and “peptide technology” for best results. Highlighting your eyes is one of the best makeup trick that you can use for drawing attention away from the fine lines. Go with matter eye shadow and try to stay away from shimmer. The shimmery eye shadows contain metallic which only makes the fine lines and wrinkles more obvious. Lips are all about priming, line and color. You should use a lip primer for smoothing out the lipstick. Get a lip liner that is close in color to your lipstick so that the lipstick doesn’t feather. Once you line your lips, you should continue with coloring them. You’re going to help the lipstick last longer and reduce the risk for the appearance of dreaded ring around the lips. Apply your lipstick and try to avoid the matte colors. Not only a matte lipstick doesn’t moisturize the lips, but it also makes the wrinkles stand out easier. No matter how well you covered the fine lines on your face, you should never forget about the ones on your neck. you should pull the makeup past your jawline. It doesn’t mean you should apply too much of it, though. Make sure that the makeup is going to cover the neck creases though, helping you achieve the blended appearance. when your neck is fairer than the face, it’s better to use a bronzer or dusting and not add more makeup. Moisturize your neck too for perfect results. You should consider go with chiffon as it brightens the skin tone, covering the wrinkles and lifting the darkness from the specific area. Add the color chiffon in the deepest part of the wrinkle and tap it with your ring finger for a good blending. The chiffon color may clash with the rest of your makeup, but use the concealer for tempering it down. Next Next post:Wanna Get Inked Easier? Amber Rose Shows Us how!